Yakubu Dogara, speaker of the house of representatives, says N30,000 as national minimum wage is not enough to sustain Nigerian families. Dogara said this during the house of representatives public hearing on the new minimum wage organised in Abuja on Monday. President Muhammadu Buhari had transmitted the bill to the national assembly after its approval by the national council of state. The council had approved the sum of N27,000 while the federal government said it would increase to N30,000 for its workers. 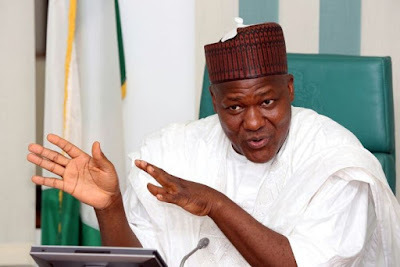 Dogara said the lower legislative chamber will give accelerated consideration to the bill as it is “long overdue”. “Let me assure the Nigerian workers, that the national assembly is aware of and shares in your pains, patience and sacrifices as regards the issue of the national minimum wage. Majority of our members are on your side,” he said. “While we are not oblivious of the current economic downturn and the dwindling revenue of government, we cannot also be blind to the fact that all economic indices indicate that even the N30,000 minimum wage that labour is asking for is not enough to sustain a small family unit. “The nation may not have enough to satisfy the minimum demands of the Nigerian worker, but as a nation, we need to set our economic priorities right and ensure that we dignify our workers by making allowance for their minimum comfort.